Hi everyone! 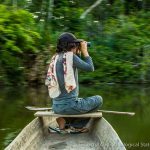 Some news from Cocha Cashu biological station, in the magnificent rainforest of Amazonia, Peru. I was invited here by Roxana Arauco, manager of the station, after she heard about the project of my fieldwork fail illustrations. I still continue to work on the book while here. 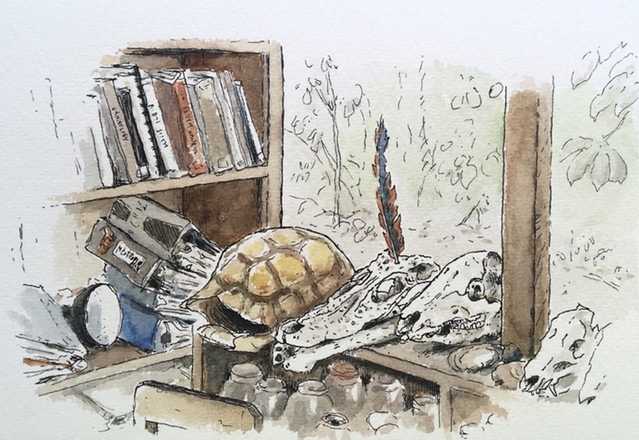 The days are long here (I wake up with the sun and the howler monkeys at 5am) so I usually draw and/or walk the morning and advance on the fieldwork fail book during the afternoon. I can’t find a better place to work in this project than here: biologists working in the field and wildlife! Biologists here have also a lot of fieldwork stories to tell. Unfortunately for them, the structure of the book is now defined and I need more to finish the actual pages than adding new ones. But a few pages in the book are already planned for some Cocha Cashu stories and I started to collect some ideas! I had also a few personnal fail stories. I hope I will find some time to illustrate them! This last days I was occupied with communicating with the scientists who are featured in the book. 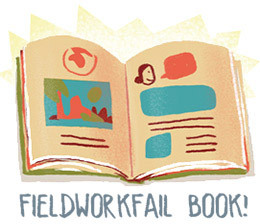 The book could have been already printed if there were only the fieldwork fail illustrations, but I really wanted to add the other part, where scientists talk about their work, add some details or context about their failure and give some facts about the animal or thing they study. And this part takes more time than the other one. Well, communicating with a few dozens of scientists with as many different timezones is something. Luckily, even if their email box is often well filled, they are also very motivated by the project so we can move things forward, piece by piece. As a non-scientist, it’s very interesting (and exciting) to see some real fieldwork while making this project. 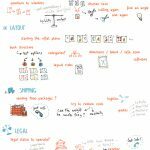 I had some feedbacks of the fieldworkfail series and living similar situations to those I illustrated gives me a fresh look to the whole project! 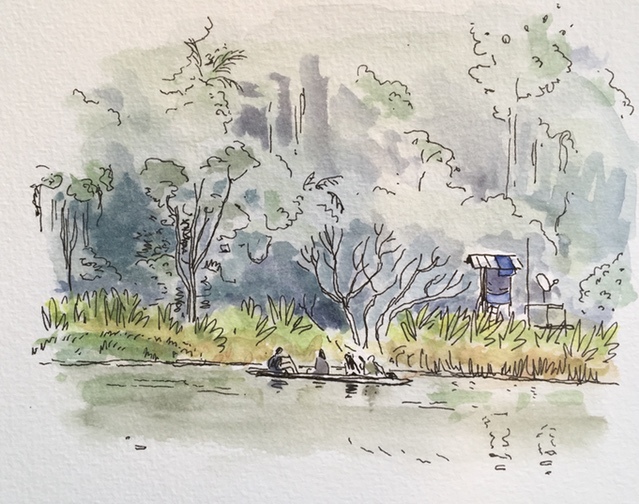 I let you some watercolors of the Cocha Cashu station to conclude this “live fieldwork” update. A lot of species can ben see here. Only this week, I could see 7 different species of mnkeys, or two black caïmans on the lake (this was a lucky week)! 12 peruvian students are currently studying on the station. Outside their personal project and studies, they have some classes in the evening that I can assist. 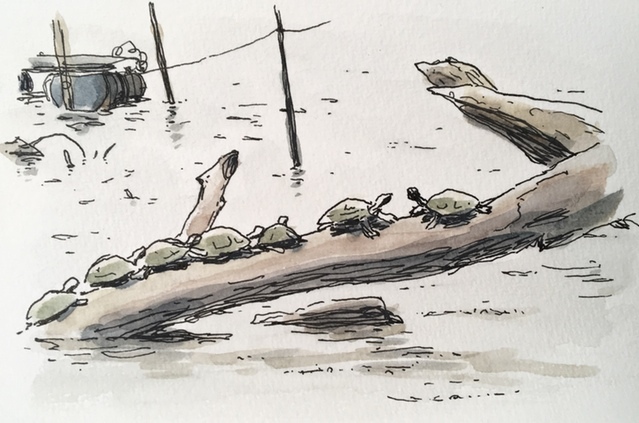 If you want to see more watercolors from the station, I post new drawings on my Facebook Page. 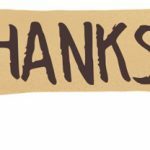 Thanks for reading me so far. See you soon for the next update!